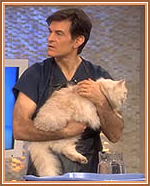 Atten: People without allergies...I have a very sweet recue cat who is probably about 1 yr old. She looks like she may have some Siamese and is a dilute torbie. She was abandoned in this cold winter and obviously was used to being in a home. She is so loving but she gets scared of the other cats. I think she would be best in a home without other cats. In the video is says "I may be spayed but I dont know"
FVRCP, Rabies, and has been tested negative for FeLV/FIV. So all the expenses have been taken care of. PLEASE help Luna to have a Loving Family. 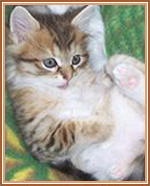 We are located in Western Pennsylvania near Pittsburgh and are very excited about our purebred TICA Registered Siberian Cats and Kittens. As of 2019, I have had the pleasure of breeding Siberians for 14 years. Siberians are so unique, you really have no idea what they're like until you have the great pleasure of living with one (or more!). 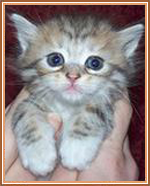 They are completely trusting of humans, making it an awesome responsibility when placing these kittens in new homes. (Please note: I have found out that some people are advertising kittens, who have taken the above text from my site for their ads. They are in no way affiliated with me or my breeding program. 6-1-18 Someone just advised me that there is another site using my pictures and I guess my text. If you find any of these sites, would you please let me know the site address! thank you. I adore my kittens and do find it an awesome responsibility placing them. I am sorry that someone else feels the need to copy the words from MY heart to advertise THEIR kittens or worse yet, to scam someone. Siberian Cats are NOT Fearful of Dogs! They LOVE Dogs. And the Dogs Love the Siberians! I have been asked how I found this breed. My youngest daughter (the born-in-passionate-cat-lover, asked me (the born-in-passionate-horse-lover) one day if we could breed cats like we breed dogs. After a great deal of pushing I decided to get her one pair of cats that she could breed and learn about. I did some research online to see if there were any cats that were good with dogs. 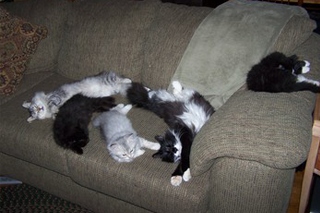 It started when I imported 2 Siberian kittens from Russia, who were loving and sweet from the very moment I met them, as if they had always known me. I thought we were just very lucky to have gotten great kittens. 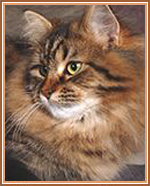 When actually we were just very blessed to have found the Siberian Cat breed, and as they say "the rest is history". I loved horses since I could remember but could not have one until I was 40yrs. old. I can now provide a kitten to families who thought they would never be able to have one. It is very rewarding. I can honestly also say that I am as passionate about Siberians as I am horses. Until the Siberian nothing ever came close. People Who Love Cats, Love Siberians... People Who Hate Cats, Love Siberians! 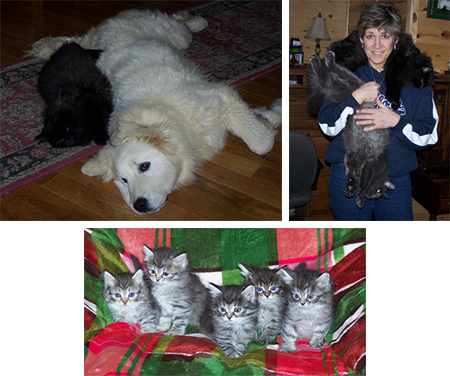 We share our home with dogs, cats, kittens and various other creatures. 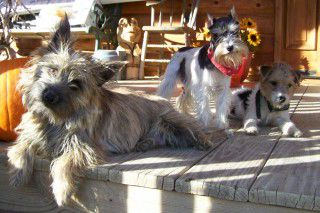 We have 4 kids, and as I have been breeding for over 24 years, they have grown up surrounded by puppies and kittens. I am no longer breeding JRT's, but am very proud of the pups who have gone on to be champions. 2010 Willow Springs Twister is Reserve Puppy Conformation Champion! We are so proud. 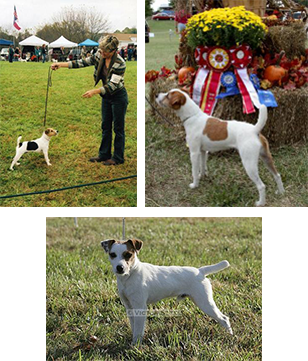 Twister is owned by Long Creek Jack Russells in NC. 2009 JRTCA Nationals - Willow Springs Flash placed 6th in the Nation again this year in Bred by Exhibitor. 2008 JRTCA Nationals - Willow Springs Flash placed 6th in the Nation in Bred by Exhibitor. Breeding for over 19 years gave us the opportunity to breed and select dogs with exceptionally quiet temperaments and of course correct conformation.